Sunshine Coast Airport is thrilled to launch Sunshine Coast 153° East concept shop, stocking a range of home-grown and hand-made gourmet food products, gifts, homewares, and skincare lines from selected local and regional businesses. Owned and managed by travel retailer AWPL, Sunshine Coast 153° East is named for the longitude line running through the Sunshine Coast and features a curated and refined selection of products from around the region. Here is a selection of some of the shop’s local suppliers – on your next trip take a piece of the Sunshine Coast back home with you! 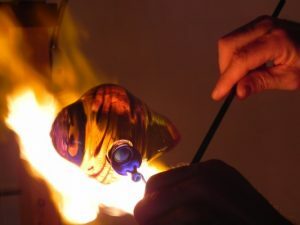 Handling red-hot, molten glass and manipulating it into unique pieces of art is not for the faint-hearted, but Wolfgang Engel’s deft touch allows him to create enchanting, glass-blown art that truly captivates. Having studied civil engineering in Germany, Wolfgang’s glass-blowing expertise was honed when he became an apprentice to one of Germany’s greats in the field, Andreas Boehm. Wolfgang moved to Australia in 1991, settling in Bundaberg for 17 years before moving to the Sunshine Coast; he is now located in Montville. The art of glass-blowing is nothing short of a spectacle to behold. With the skill of a master craftsman, Wolfgang blends century-old traditions in this art with an appreciation and love of the shape and colour of Australian flora and fauna. Combining colours under the flame of a blow-torch while constantly manipulating the softened glass demands great manual dexterity, but with experience honed over decades, Wolfgang effortlessly breathes life into an amazing array of exquisitely coloured objects. From mystical freeform sea dragon shapes to one metre tall blown objects in soda glass, the evolution of idea to finished piece is truly unique. 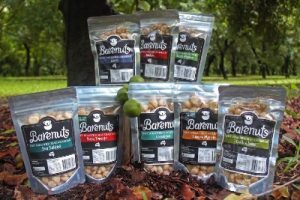 After following their hearts out of the city and onto a 90 acre macadamia farm in 2014, Michael and Jodie Cameron’s investment in the Barenuts Macadamia Nut Farm has seen it become a true Sunshine Coast success story. With Michael’s experience farming wheat and Jodie’s time within communications, it’s no wonder they have made a successful macadamia tree change! Located east of Bauple on Queensland’s Fraser Coast, the Barenuts farm thrives in rich volcanic soil, aided by a stunning, temperate climate that has helped Michael and Jodie to grow the farm’s production significantly. Managing a relatively small orchard allows Barenuts to focus specifically on soil health and sustainability, with their interest in sustainable, low impact farming helping to shape most of their orchard management practices. This philosophy has naturally transferred to the Barenuts Kitchen where all ingredients used in their range are kept as ‘totally bare’ as possible. 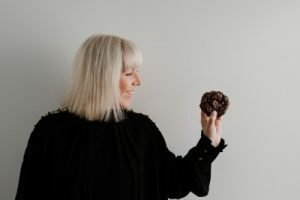 This has allowed for a focus on healthy, gourmet macadamia nut products and alternatives free from gluten, dairy and egg, with no artificial colours or flavours. If vegan and paleo treats are what you’re after, Barenuts has that covered too! The seeds were sewn for Black Lemonade bakery well before its eventual humble beginnings in 2016. The drive provided by her own dietary needs was coupled with an observation that the expensive gluten-free and vegan options she was seeing at cafes were oily and full of nuts. So began the task of experimenting with ingredients that she could use to create a truly delicious vegan, gluten-free options. Mooloolah Valley Honey started with two mates with a passion for true artisan honey and educating the community about their bees. Nestled in the beautiful Mooloolah Valley the bees forage in a variety of environments which produce wonderful seasonal varieties unique to the area. By locating hives throughout the Valley, the bees are provided with natural pollens and nectars without the need to supplement feed which ensures the consumer gets pure, raw and unadulterated honey as nature meant it to be. This results in happy bees and a honey that maintains all the health benefits and seasonal tastes that only 100% raw honey can produce. 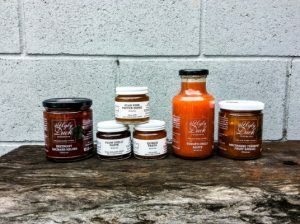 All honey from Mooloolah Valley Honey is cold extracted and never heat treated. This is the artisan way and the extra effort provides the consumer with quality that can be tasted and appreciated. Bees are a dwindling resource in the world today and their demise is a portent of greater environmental challenges. 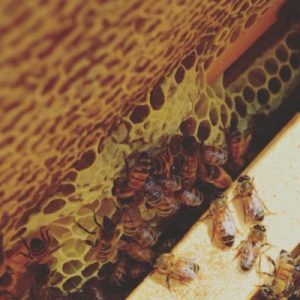 Through their sustainable practices, Mooloolah Valley Honey have been able to increase the Valley’s bee population and subsequently improve pollination for the Valley’s fauna. 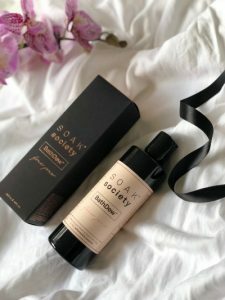 Borne out of a desire to help the modern woman put more meaningful me time in her day Sunshine Coast based Soak Society was established with their luxurious range of bath soaks and bubble baths helping to make baths ‘cool’ again. The Soak Society range of products is made from the highest quality natural ingredients and are the perfect antidote to the hustle and bustle of modern life. As well as recognising the important need for us to be kind to our minds Soak Society are passionate about the need to use only all-natural and cruelty-free beauty products. Ugly Duck Preserves began its life four years ago when owner Michelle Mascher decided there had to be a sustainable solution to the problem of food waste in the region. Some of that surplus local produce is now given a second chance, ending up in her amazing Ugly Duck Preserves. Michelle has combined her great love of growing and preserving food with a strong belief that food should not be wasted. Michelle sources her fresh ingredients farm direct, gathering up surplus from crops that would otherwise end up in landfill. Ugly Duck Preserves also acquires fresh fruit and vegetables that were rejected by shops and supermarket chains because of their non-standard size, shape or colour. The Ugly Duck Preserves range includes Nectarine Turmeric Fruit Spread, Plum Cinnamon Fruit Spread, Quince Paste, Plum Chilli Paste and Aussie Stone Fruit Chutney, none of which contain any nasties, preservatives, artificial colours or flavours.